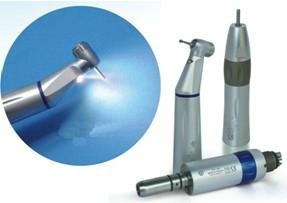 The LED dental handpiece adopts the self-illuminated without connecting circuit, natural LED light. Unique electric generator, just a little air can generate sufficient power, superior brightness, longevity 10000 hours. It can be used without fiber optic system, adapts to universal dental units.